Jeff Beck‘s withdrawal/dismissal from The Yardbirds in October 1966 afforded the guitarist the opportunity to pursue musical interests under his own (already considerably renowned) name. Having completed but not released “Beck’s Bolero” in May, Beck at least set off as a solo artist with more of a prospect for success than most and commenced to auditioning musicians for what would become several outfits over the next five years. The most acclaimed and commercially successful of those bands, the 1968-69 Jeff Beck Group, featured Rod Stewart, Ronnie Wood on bass, Nicky Hopkins, and Mick Waller–and subsequently Tony Newman–on drums. Braving delays and personal enmity long enough to produce two albums, Truth and Beck-Ola, the group stoked the development of hard rock and expanded on the sounds introduced by The Animals, The Yardbirds, and Cream. Instilled with a purpose, Beck took only a year to assemble a three-piece band ultimately not to his liking, though the spared Rod Stewart had been brought on as vocalist as early as January 1967. Ronnie Wood initially assumed rhythm guitar duties until being reassigned to the bass after Beck had dismissed Jet Harris and Dave Ambrose from the position. Regardless, Mickie Most orchestrated a burgeoning radio presence for his client in the intervening months with the release of “Hi Ho Silver Lining” (backed with “Beck’s Bolero”) in March 1967, “Tallyman”, and “Love is Blue”–all of which reached the Top 40 in Britain–in preparation for an ever-elusive studio album. Beck toured Britain with the tentative backing lineups throughout 1967 after debuting in March, managing to fit in a few BBC spots and appearing most notably at Windsor’s National Jazz & Blues Festival in August and, on numerous occasions, the Marquee Club. 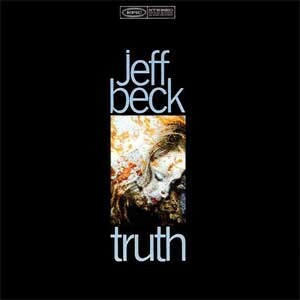 It was not until Ma y of 1968, however, that the Jeff Beck Group resolved to record a full-length studio release. Recycling the epochal “Beck’s Bolero”, the resultant Truth LP utilized the new group’s individual talents to stellar effect and consolidated Beck’s sound while harking to his Yardbirds days with a heavily rearranged, trudging “Shapes of Things”. Truth, interestingly, is comprised entirely of cover versions, with the Beck-Stewart pseudonym “Jeffrey Rod” accorded sole writing credit for three such tracks–“Rock My Plimsoul” (BB King’s “Rock Me Baby”), “Blues De Luxe” (BB King’s “Gambler’s Blues”) and the standout “Let Me Love You” (Buddy Guy’s “Let Me Love You”). “Morning Dew”, a Bonnie Dobson (via Tim Rose) cover, constitutes perhaps the most impressive overall recording on the record, as the group shifts fluently between tranquil and manic passages. Beck applies wah-wah liberally though less obtrusively than on the more iconic “I Ain’t Superstitious” and employs the effect for”color” and emotive purposes as a complement to Stewart’s superb vocals. This restraint on the guitarist’s part similarly aids “Ol’ Man River” and helps incorporate the Show Boat tune into a rock context, as subtle lines rather than blaring sustain the mood. Muddy Waters’ “You Shook Me”, conversely, on the album comes across as a thrashing if slight offering. Had the song been positioned before “Let Me Love You” and introduced by the exceptional, barreling opening riff (later to surface on Beck, Bogert & Appice’s “Livin’ Alone”) as in the live arrangement, its effect and purpose on the record would have been greatly increased. The traditional composition “Greensleeves” of Yuletide fame garners a winsome acoustic arrangement on solo guitar but similarly comes across only as a pleasant exercise and breaks wholly from the rest of the album. Renowned pianist Nicky Hopkins, who was to join the group officially in October 1968, supplies keys, while John Paul Jones provides the Hammond organ work on several tracks. The four-piece Jeff Beck Group reconvened at the behest of Peter Grant in mid-June to conquer North America. Known only by name as Truth did not see release until August, the group landed at the Fillmore East for its U.S. debut and proceeded to, reputedly, decimate the headlining Grateful Dead and earn rave reviews in the local press. This zeal extended to the rest of the tour, with Stewart gradually accepting a degree of showmanship (stage fright initially compelled him to perform from “behind the amps” for part of the sets) and Beck settling into the more balanced, collaborative approach to the benefit of the performances. Further stints at The Scene, The Boston Tea Party, Detroit’s Grande Ballroom, the Fillmore West, Winterland, and USC’s Shrine Auditorium exposed the band to the major FM rock markets with similar acclaim and accentuated the nearly- unprecedented dual-frontman approach. Beck and Stewart’s interplay, buttressed by Wood’s able bass playing and Waller’s rather nimble yet pounding efforts, contributed to a depth and cohesion that escaped most five and six-piece rock acts as well as stirring bouts of wailing all around. A second tour, with Nicky Hopkins in tow, visited the same venues with the freedom of longer, headlining spots, though by the conclusion in December sentiments between Beck and Stewart had soured noticeably due in large part to the guitarist’s repeated firing of Wood (who would of course maintain a close relationship with Stewart throughout the 1970s) and the occasional praise mistakenly touting “Jeff Beck’s” prodigious vocal talents and stage presence. The group embarked upon a March jaunt across the U.S., in essence a victory lap that retreaded familiar ground, before reposing to England in April for studio recording. 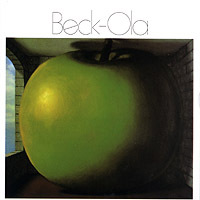 Beck-Ola, planned in response to Beck’s apprehension toward touring the U.S. again without a new product, sees Tony Newman capably fill Waller’s position. Narrowing the sound from the disparate influences evident on Truth, the album supplies a high bludgeoning quotient as “Rice Pudding” and “Spanish Boots” threaten to consume the speakers. An instrumental exhibition and certainly Beck’s loudest recording, the former alternates between the thunderous central riff and gentler sections harboring Beck’s sweet, fluid slide lines. The somewhat more “refined” yet equally forceful “The Hangman’s Knee”, “Plynth (Water Down the Drain)” (augmented nicely by two choppy, funk-laden instrumental breaks), and “Jailhouse Rock” confirm both the group’s intention to exude power at every juncture and the deliberate lack of range. Consequently, Hopkins’ “Girl from Mill Valley” instrumental (dedicated to his girlfriend) regrettably presents an even greater outlier than “Greensleeves” or “Ol’ Man River” and would have benefitted thoroughly from Stewart’s participation had time been allotted. The track thus exemplifies the hurried nature of the record’s conception and, as it stands, makes for a pretty if unrealized break fr om the assault. During the stay the group also got around to recording three tracks for Donovan, one of which–“Barabajagal (Love is Hot)”–would become a sizable transatlantic hit and artistic accomplishment. The five-man Jeff Beck Group set out for the road once more, touring the East Coast throughout May and July and presenting Beck-Ola at its finest. Hopkins retired before the final date at the Grande Ballroom as internal matters worsened, and Beck ultimately dissolved the band on the eve of Woodstock, at which the group had intended to perform. Rumors abounded as to Beck’s collaboration with Tim Bogert and Carmine Appice, the already-mythical rhythm section of Vanilla Fudge, on a new Group and the musicians had indeed intended to collaborate before Beck’s traumatic automobile accident in December suspended any further efforts. Beck’s subsequent attempt to sustain the entity (in name) in the early 1970s further detracted from coherence and the “band dynamic”. Seeing greater prominence but less enthusiasm from the guitarist and effectively relegating the musicians–including even Max Middleton and Cozy Powell–to backing accompaniment, this band nevertheless managed Rough and Ready (1971) and Jeff Beck Group (1972). Two-and-a-half years behind schedule, Beck formed his idealized Beck, Bogert & Appice in mid-1972 and, in doing so, spawned the most punishing supergroup on record. More artistically comfortable than his preceding ventures, the group recalled the force of the ’68-9 Jeff Beck Group and committed to tape a strong self-titled studio album featuring Stevie Wonder’s “Superstition” (which Beck had partially inspired), “Lady”, “Livin’ Alone”, and Don Nix’s “Black Cat Moan”; incidentally, Nix’s “Going Down”, albeit adapted from Freddie King’s brutal cover, had appeared on Jeff Beck Group. This too, however, was not to last, as Beck withdrew from the group without notice in 1974, leaving Bogert and Appice to hold out for several months in the hopes of finalizing a follow-up album. Since 1975’s momentous Blow by Blow, Beck has cultivated a tremendous solo career that incorporated (most obviously) jazz influences and greater production value yet never pursued the sound and feel that accompanied his most successful work in the late 1960s. Despite the internal strife and moniker, The Jeff Beck Group pointed the way toward balanced four-piece hard rock bands that still permitted virtuosity. More so even than Cream, which tended to resemble a loose affiliation of musicians who happened to be occupying the same stage, this incarnation exerted a substantial influence upon the progression of rock and solidified the quartet’s role as the principal format for the genre. Assorted radio broadcasts from 1967 include The Temptations’ “(I Know) I’m Losing You” (later done by Stewart for Every Picture Tells a Story) with Aynsley Dunbar on drums, “Rock My Plimsoul” taken at a slightly faster tempo than the studio recording, and “Beck’s Bolero“. The Jeff Beck Group’s July 17, 1968 Dallas show exists in decent quality, featured compellingly in its entirety (79 min). Much of the group’s July (25, 26, or 27) 1968 Fillmore West set is available on soundboard and includes one of only a few known “Hi Ho Silver Lining” airings (30 min). The group’s December return to the venue in support of Truth gets a satisfying, undisturbed audience recording in which all five musicians are readily discernible (86 min). All three nights at the Boston Tea Party in October: 22, 23, and 24 circulate. November 3 at the Grande Ballroom in Detroit exists in fair quality. The November 16, 1968 show at Thee Image Club in Miami is preserved in above-average quality and includes the most stylistically-varied set list thus far. The July 4 appearance at the Newport Jazz Festival circulates as an abridged but entertaining set (37 min). A fragmentary tape of the July 12 stop at the Laurel Pop Festival in Maryland endures (20 min). The band’s set at Central Park’s Schaefer Music Festival on July 14, with Beck’s guitar overpowering the rest of the group (39 min). Infamously, Beck, Stewart, John Bonham, Jimmy Page, and Robert Plant took the stage during Ten Years After’s set to wreak havoc. Bonham started to disrobe while playing David Rose’s “The Stripper”, inciting the police’s attempt to maintain moral standards and the subsequent near-riot. 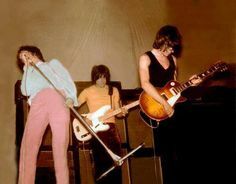 The group’s final live appearance, conducted without Nicky Hopkins, marked a return to Detroit’s Grande Ballroom on July 26 (54 min).